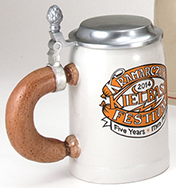 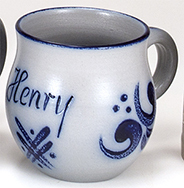 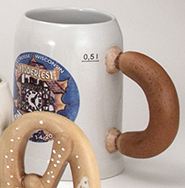 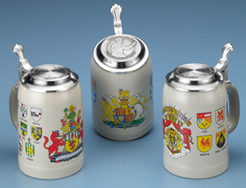 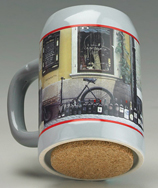 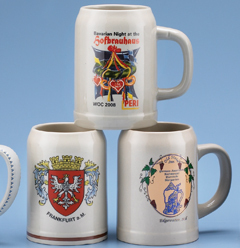 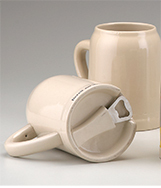 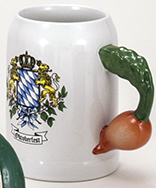 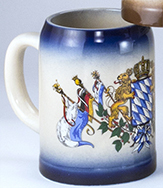 These classic traditional Bavarian Kannenbaecker Mugs have been around for centuries. 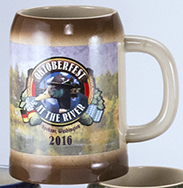 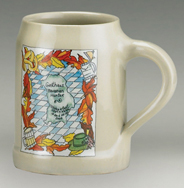 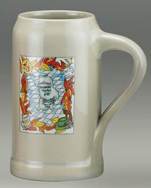 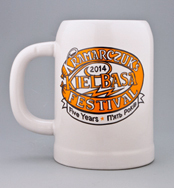 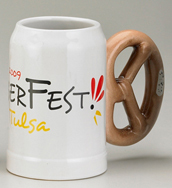 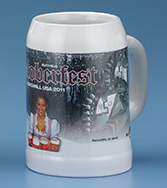 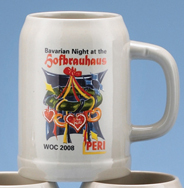 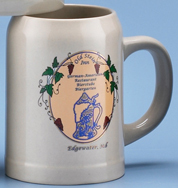 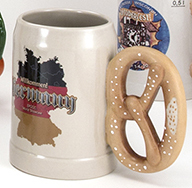 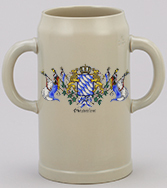 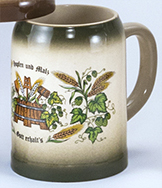 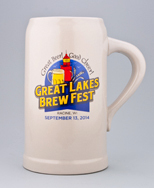 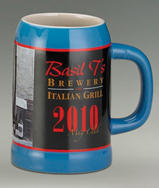 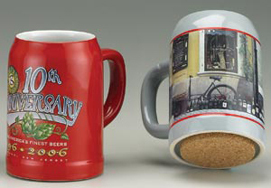 They hold a generous 20 ounces and feature the 0.5L marking on the body of the stein. 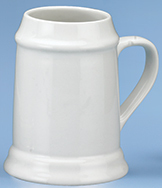 Available in traditional grey, white or black. 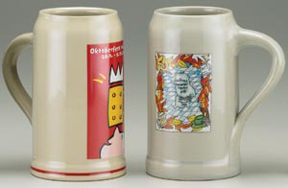 Also available in 1.0 liter (34 ounce capacity), with or without lid. 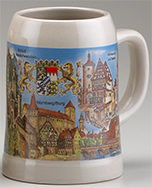 If you are looking for a specific German city scene to use in addition to your logo, please let us know. 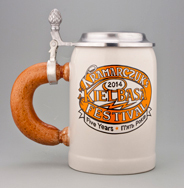 The 0.5L grey kannenbaecker is stocked in Minnesota and we can provide custom orders, without lid, within 45 days.